Above: Absolute proof that this is Tower 31 is lacking, but the circumstantial evidence is overwhelming. The photo was taken in the late 30s or early 40s by John W. Barriger III from the rear platform of his business car on a Kansas City Southern (KCS) train. This much is known because the photo is identified as "KCS 23" in the collection of the John W. Barriger III National Railroad Library. Positively identifying this tower would be easy if the white placards visible on two sides of the tower were readable, but unfortunately, they're not. Yet, they still reveal a valuable clue: this tower is definitely in Texas because Texas numbered its interlocking towers. 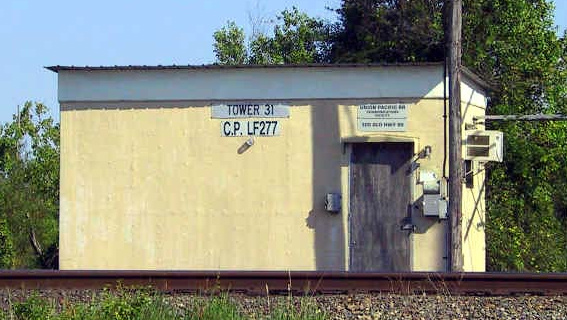 Rectangular white signs with black numbering posted on the rail-facing sides were universally used as tower number identifiers (and might have been a specific regulatory requirement.) More significantly, this tower is clearly a Southern Pacific (SP) tower because its design is common to many other SP towers in Texas (e.g. Tower 81, Tower 139, Tower 21, Tower 30, Tower 73, etc.) So...was there a location in Texas with an SP tower at an acute angle crossing of KCS and SP tracks? Yes. 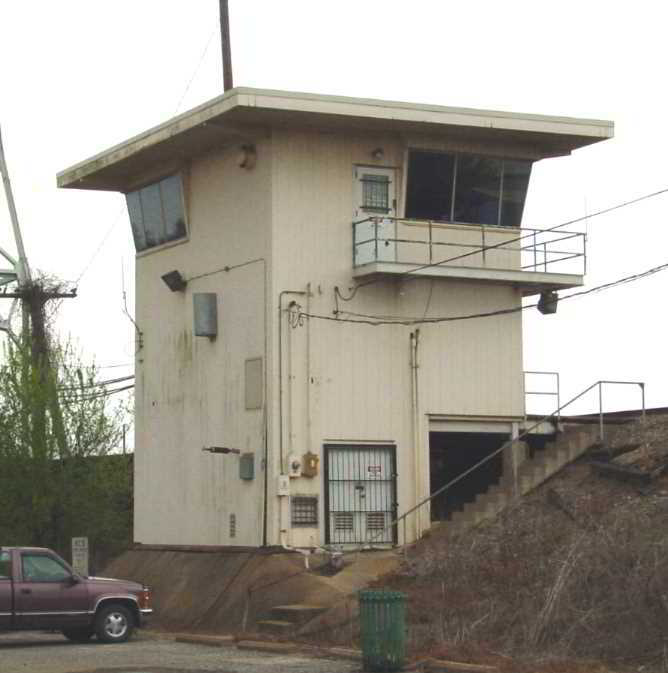 Tower 31 was located at such a crossing immediately east of the railroads' Neches River bridges at Beaumont. But since we don't know for certain where the tower sat in relation to the diamond, which direction is Barriger headed? If he were headed out of Beaumont, we might expect a substantially different view in the distance since he would be looking back at the river bridge about a mile away. 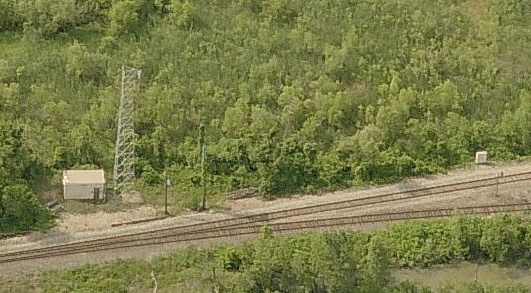 There were no crossings between the tower and the bridge, yet there appears to be something man-made on both sides of the tracks in Barriger's view. This and other evidence compels the conclusion that his train is headed into Beaumont on a southwest heading, hence the photo looks northeast and the tower is located on the north side of the diamond. Barriger took the photo that precedes this one at Tower 28 on a southbound train at dusk. 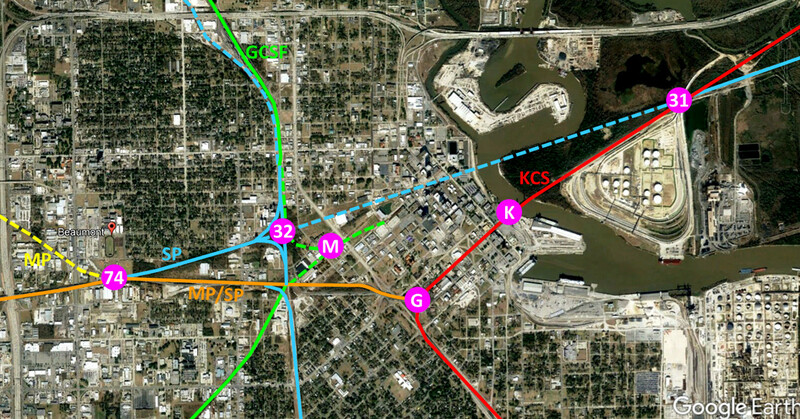 The implication is that Barriger left Texarkana headed south on the KCS main line, passing Tower 28 almost immediately. After traveling through Shreveport and DeQuincy, Louisiana on the KCS overnight, the train passed Tower 31 as it neared Beaumont the next morning. The photo appears to show a well-worn path to reach the tower from the south side of the diamond, opposite the tower. Access to this site historically has been from the south (to avoid the swamp north of the crossing). The highway back to Beaumont was to the north, hence the need for the road crossing visible 0.3 miles in the distance. There is no evidence from satellite or historic aerial imagery to indicate that there was ever any access to the tower from the north. Barriger is nearing KCS' Neches River bridge where he will cross into Beaumont. The track to the lower left corner leads to SP's Neches River bridge a quarter mile further upstream. Note that some of the windows appear to be open, implying the tower was occupied. Why wouldn't it be? The answer is...Tower 31 was converted to an automatic interlocker on August 20, 1937 and the tower was presumably unmanned most of the time after that date (hopefully with the windows closed!) Open windows would tend to suggest that this photo was taken prior to that conversion. Neither the fate of the tower building nor the date it was removed are known. Below: Next after the above photo in Barriger's sequence is this shot taken as his train passed a KCS passenger train, the Flying Crow, which operated between Kansas City and Port Arthur, with a stop in Beaumont. "Texas & New Orleans Railroad" was the new name adopted on Christmas Eve, 1859 by the Sabine & Galveston Bay Railroad and Lumber Co., a railroad chartered in 1856 to serve southeast Texas lumber interests. By May, 1861, the "T&NO" had connected Houston with the town of Orange using wide (5' 6") gauge construction. After the Civil War, the complete line between Houston and Beaumont was rebuilt to standard gauge and later extended to Orange in 1876. Numerous disruptions caused by flooding, washouts, bankruptcies and corporate restructurings delayed the completion to New Orleans; a train finally made the trip all the way from Houston in 1880. In the course of financial reorganization, the T&NO was sold to Southern Pacific (SP) and became SP's primary operating company in Texas and Louisiana. SP's southern transcontinental "Sunset Route" passed through Beaumont on T&NO's tracks. In the mid 1880s, Kansas City railroad developer Arthur Stilwell had an idea to construct a route between Kansas City and a new port he would develop due south on the Gulf of Mexico. To implement his plan, Stilwell chartered the Kansas City, Pittsburg and Gulf (KCP&G) Railway, and in 1892, acquired the Texarkana & Fort Smith (T&FS) Railway. The T&FS would build and operate the Texas parts of the route south from Texarkana to Stilwell's new port on the Gulf. In 1896, the T&FS constructed 24 miles of track south from Texarkana to the Louisiana state line, and 19 miles north from Stilwell's eponymous new port, Port Arthur, into Beaumont. In between, the line went south to Shreveport and DeQuincy, Louisiana, and then turned southwest to cross back into Texas at the Sabine River. In 1897, T&FS completed the remaining Texas construction between the Sabine River and downtown Beaumont, bridging the Neches River and connecting with the tracks from Port Arthur. Full service between Kansas City and Port Arthur commenced on November 1, 1897. In 1899, Stilwell lost financial control of the KCP&G and it was acquired in 1900 by the newly chartered Kansas City Southern (KCS) Railway. Because KCS was a Missouri-chartered railroad not headquartered in Texas, the State of Texas appealed a 1933 Interstate Commerce Commission ruling that granted KCS permission to merge the T&FS into the parent corporation, notwithstanding Texas law to the contrary. The Supreme Court upheld the ruling in 1934. The formal merger occurred in 1943. In 1905, railroad magnate B. F. Yoakum negotiated trackage rights on KCS from Beaumont to DeQuincy. Yoakum's Gulf Coast Lines (GCL) owned a railroad that connected Houston and Beaumont, and another that connected DeQuincy and New Orleans. The KCS agreement completed the GCL route between Houston and New Orleans. In Beaumont, the GCL connected with KCS less than a mile west of the Neches River bridge, a location that became known as "GCL Junction", a name that persists today. When the GCL railroads were acquired by Missouri Pacific (MP) in 1925, MP inherited GCL's trackage rights on KCS. SP had its own bridge over the Neches about a quarter mile upstream from the KCS bridge. Roughly a mile east of their respective bridges, the two railroads crossed at an acute angle as they were on similar northeast headings out of Beaumont. Tower 31 was authorized for operation at this crossing by the Railroad Commission of Texas (RCT) on October 1, 1903 with a 12-lever/12-function mechanical interlocking plant built by United Switch & Signal Co. RCT officially listed the tower as a crossing of the T&NO and T&FS railroads "East of Beaumont". Despite some historical references to Tower 31 as being at "Connell", the "East of Beaumont" designation never changed through RCT's final published tower list in 1930. Connell was a community five miles further east, named for the president of the Reese-Corriher Lumber Co., G. H. Connell. RCT documents archived at DeGolyer Library show that Tower 31 was converted to an automatic interlocking on August 20, 1937. This was about seven years after RCT first authorized the use of automatic interlockers in Texas, at Plainview and Lubbock. The specific reasons for Tower 31's conversion are unknown, but it was certainly a good candidate. Despite being only a mile and a half from downtown Beaumont, the tower was in a low lying, undeveloped area where swampy terrain and dirt roads made access to the tower difficult even in good weather. With heavy rains that occur frequently in southeast Texas, access to the tower could be almost impossible at times (except, of course, by rail.) Automating this crossing eliminated the need to send operators to the tower. Since there were no interchange tracks between the railroads, the automatic interlocker would need minimum functionality. 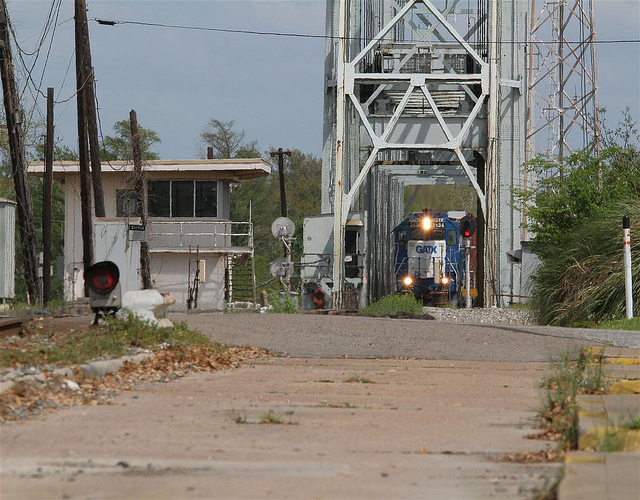 The proximity to the bridges and downtown Beaumont meant that trains passing Tower 31 would be operating at relatively low speeds, mitigating risk. In the early 1960s, MP, SP and KCS collaborated on a decade-long plan to restructure and share their routes through Beaumont, including the use of KCS' bridge over the Neches River. This plan meant that east of the river, SP trains would get on (eastbound) or off (westbound) home rails at Tower 31. West of the river, SP trains would get on (westbound) or off (eastbound) home rails at Tower 74. 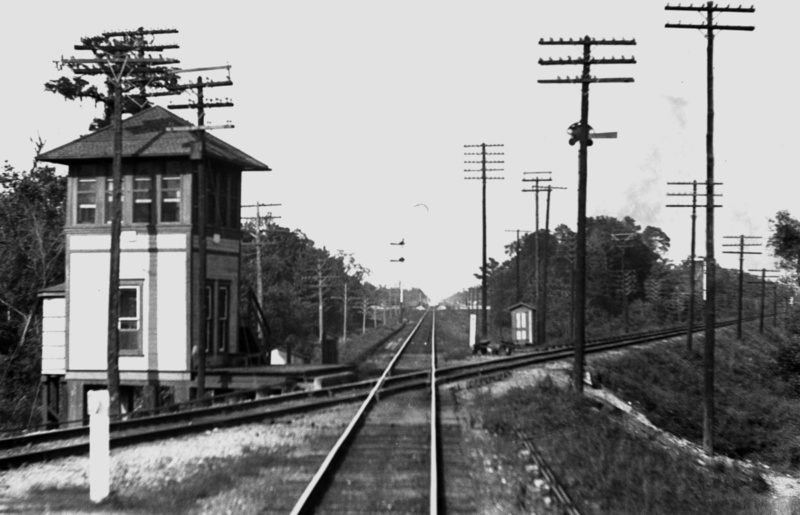 KCS and MP rails connected at GCL Junction, and MP rails were used between GCL Jct. and Tower 74. 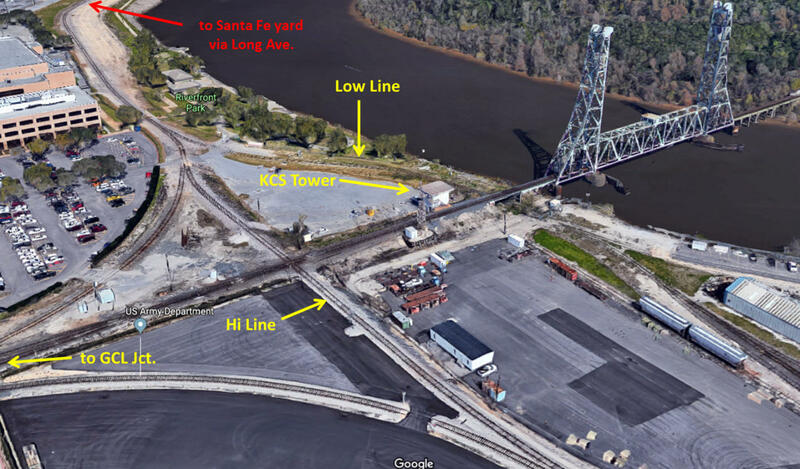 According to RCT documents, revisions to the Tower 31 junction began in July, 1966 when the automatic interlocker electronics were relocated to KCS Tower at the west end of the Neches River bridge. This was followed by removing the diamond, adding a switch and remote control electronics, and revising the track to connect the KCS switch to the SP main line. Having relocated its downtown yard to a site west of Tower 74, SP abandoned its tracks between Tower 32 and Tower 31 in 1967. "The swing bridge was installed in 1924 to allow taller-masted vessels to pass up and down the river. As river commerce and traffic increased, the need for a wider (than 100') span (on either side of the pivot point) necessitated the replacement with a different type of bridge, and pressure was put on the railroad to do so. The Southern Pacific engineering department decided on a bascule type lift bridge and contracted with American Bridge Company to build the structure at a cost of $450,000. The bridge was installed in June 1940 and at the time was the longest bascule span (230') in the United States. It was in service until November 1967 and then it was removed in December 1968 in conjunction with the the major realignment of the Southern Pacific's trackage through the city." Above: Annotated map of Beaumont showing numbered towers and other locations (G = GCL Junction, M = Mariposa Tower, K = KCS Tower.) See the Tower 32 page for more information about Beaumont area towers. It was built in the mid 1960�s as part of the grade separation project causing SP-MP-KCS to begin operating on a Joint Track agreement from Langham Road in west Beaumont eastward to the Neches River Bridge. Prior to the beginning of this system, the Neches River Bridge was manually operated with Bridge Tender personnel on duty 24/7. The basement of the tower is for storage. The ground floor is for CTC and communication operating equipment. The top floor was the Control Tower office housing the original WWII era CTC board controlling traffic from South Mauriceville to DeQuincy, La. (CS JCT) A new control board was installed controlling traffic from Wall St. up to North Vidor. This equipment was our first venture into microwave telemetry. It took us several years to get the bugs out of it. The new control board was also hard wired to control raising and lowering the bridge leaving no need for the Bridge Tenders except one 5-day maintenance man who kept the many moving parts lubricated and the auxiliary engine in running condition in case of an emergency. That control was turned over to other dispatchers� offices after I retired. The Signal Maintainers office is still there. The large glass panes were installed at an angle which, after dark made it impossible to inspect trains because of the glare from the inside lights. I found a desk top 12� fluorescent lamp and used it, keeping the office dark. Was able to spot many stuck brakes of eastbound trains and run down the stairs and bleed them down. Thankfully I never caused a train to go �in big-hole�. ATSF (Santa Fe) was �allowed� to keep the Long Ave. connection to the Port of Beaumont holding yard which, I think was part of this [grade separation] project. This is also the time a crossing from the holding yard was installed crossing the KCS main track just east of Main St. where the double track transitioned into single track. This connection was called �The High Line� as opposed to the �Low Line� which crossed the KCS under the Neches River Bridge connecting the dock and warehouses. Previously port deliveries were made via trackage in South Beaumont. A much older �head� than I will need to explain those operations. 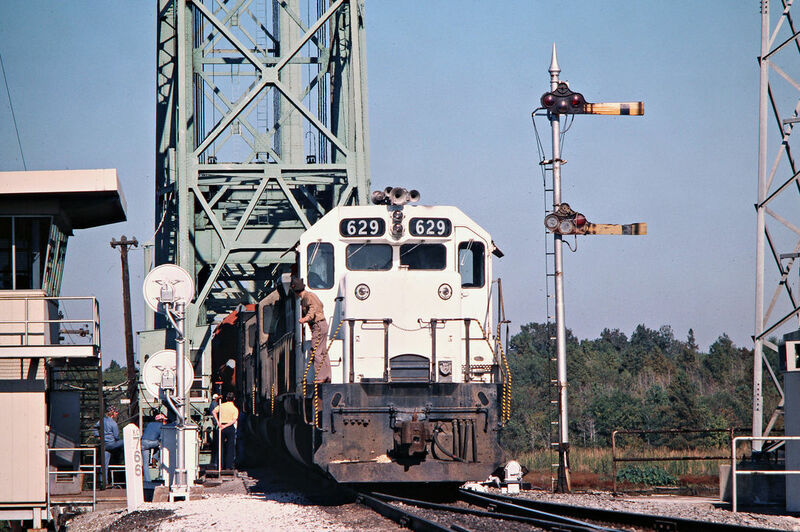 This new operation gave the KCS, MP and SP access to the new Port Holding yard via the north or west main with a power switch turnout at Main St. On rare occasions ATSF would derail and be blocked from the Long Ave. connection. We would run them back to the ATSF connection via our trackage. We had tacit permission to do this immediately without calling a pilot engineer or conductor. Last Revised: 2/22/2019 JGK - Contact the Texas Interlocking Towers Page.